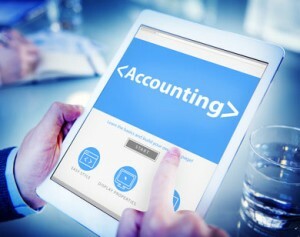 All the software packages are secure, cloud-based so can be accessed from anywhere that has an internet connection, and have direct links to HMRC for easy filing, where appropriate, for things like tax returns, VAT returns, National Insurance and RTI etc. Calculation of what’s due to HMRC can be automated with the software and then paid and filed from the package. Such links and automation will become more and more useful and important into the future as HMRC’s proposed changes gradually come into effect — in a few years time HMRC will be expecting people to calculate, file and pay self assessment taxes more regularly than is currently required (you can read more about some of the proposed changes in our recent post). The free* offer is available to all active Taxfile customers (whether current or new). Taxfile customers can work with the packages as much or as little as they like because Taxfile, with the customer’s permission, will be able to access the customer’s Sage account and complete those parts the customer is not inclined or able to do themselves. For example VAT returns, payroll, tax returns and so on. So it’s collaborative at any level. Users can get 24/7 support from Sage, including ‘how to’ videos and so on, plus another level of support from Taxfile who can step in when taxes need sorting out, returns need to be filed and company accounts need to be finalised etc. Taxfile offer low cost tax and accounting solutions. We’re a very friendly, multi-lingual team and are probably the best South London tax accountants you’re likely to encounter. Call us on 0208 761 2268 or contact us here and we’d be delighted to discuss your requirements and the best Sage package for you. * A few simple terms and conditions apply – e.g. to avoid abuse, the free software offer only applies to active Taxfile customers who are paying Taxfile for accountancy-related services. The ‘Sage One Payroll’ module is a paid-for optional extra. Please ask for more details and the full T’s & C’s and we’ll be happy to talk you through the various excellent options. ← Read Taxfile’s Autumn Newsletter & save money!